The text below helps search engines to index our website. In 2006 it was 20 years since the Whitburn Comprehensive class of 86 left school. During that time there has never been a school reunion (that we know of anyway). A few ex Whitburn Comprehensive pupils though it was about time we had one! This website tells you more about that eunion but there loads more great stull for you to read. 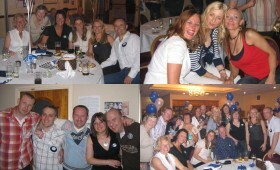 We had our first reunion for the leavers of '86 on 6th May 2006. Ever since people have been asking us when the next one would be. Well now the waiting is over! !